Ceregene has developed CERE-110 (AAV-nerve growth factor) to restore the tragic cognitive loss that occurs with Alzheimer’s disease (AD), while also delaying further disease progression. 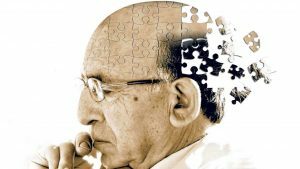 Alzheimer’s disease is a common, insidiously progressive form of dementia that robs its victims of their minds. The early stages of the disease, where the symptoms are primarily limited to loss of memory and other cognitive deficits, are characterized by loss of cholinergic neurons and other pathologies in the brain. Nerve growth factor (NGF) is known to nourish, restore function and protect cholinergic neurons from degeneration. Thus, CERE-110 (AAV-NGF) provides the opportunity to treat AD like no other treatment. A great deal of effort has been expended to design drugs to treat the functional deficits that accompany Alzheimer’s disease (AD) and related disorders. One approach has been to elevate endogenous acetylcholine levels in hopes of replacing lost cortical cholinergic function in the AD brain. Acetylcholinesterase inhibitors, that indirectly elevate brain acetylcholine levels, provide only modest symptomatic benefits but little or no change in disease progression. Removal of these drugs results in the rapid re-emergence of cognitive impairment. These treatments by no means normalize patient function but they are the best treatment that medicine can currently provide. Nerve growth factor (NGF) and related neurotrophic factors are known to be potent survival factors for acetylcholine containing neurons that atrophy or degenerate in AD. The ability of nerve growth factor to prevent or reduce cholinergic cell loss in animal models of neurodegenerative diseases has led to several human clinical trials. In these trials nerve growth factor was delivered into the brain or the surrounding cerebrospinal fluid continuously. However, these methods of delivery did not allow sufficiently high doses of neurotrophic factors to be achieved in the target regions of the brain to efficiently modify disease progression and led to troubling side-effects related to the delivery of NGF to non-targeted cells. Ceregene seeks a new way to treat AD. Our approach focuses on delaying disease progression by slowing or even reversing the loss of cholinergic neurons, thereby alleviating the cognitive and behavioral deficits associated with AD. The gene for nerve growth factor is delivered directly into acetylcholine rich regions of the brains of patients with AD using Ceregene’s gene delivery technology. The gene that encodes NGF can be delivered in a single procedure and would thereafter reside and be produced by cells in the affected tissue, indefinitely. Based on animal studies, production of NGF or closely related neurotrophic factors in affected regions of the brains of patients with AD should preserve and restore cholinergic neuronal function and thereby improve cognition. Only the affected neuronal populations will be treated and side effects attributable to treatment of other neuronal populations will be avoided. .Because of these invaluable advantages, gene transfer, as used by Ceregene provides the best hope for effective disease-modifying treatment for Alzheimer’s disease. Ceregene has completed an initial Phase 1 clinical trial in AD and is planning a multi-center, controlled Phase 2 trial. By using the same gene delivery technology to deliver the genes for other neurotrophic factors known to support other types of neurons, Ceregene has been able to create potential treatments for a range of other diseases, including Parkinson’s disease, ALS (Lou Gehrig’s disease), and several ocular diseases that cause blindness.